To view the rosary live, please click on the following link and enter the Event ID and Password as shown below. Born in Los Angeles on January 7, 1941, the oldest of 8 children, Carroll J. Loza, 77, entered into rest on September 13, 2018 in Pleasanton. In heaven she joins her husband Manuel B. Loza. 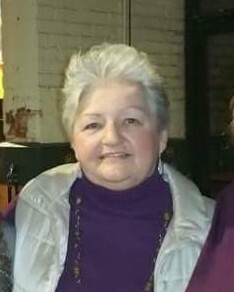 Carroll is survived by her children; Christina Sifuentes, Cheri Escobar, Alberto Barajas and Silvia Barajas, grandchildren; Andrea, Efren, Jaylen, Dylan, Amber and Tahlia, great-grandchildren; Payton, Aubree, Chloe and Grey, siblings; James Till, Don Till, Timothy Till, Reyne Meredith, Kathleen Miner, Elizabeth Evans and Kita Till. Carroll was a fun positive patriotic outgoing lady. She enjoyed the great outdoors, reading and gardening. Her generosity always exceeded others expectations where she constantly opened her home to help others when the need was greater than what they could handle. She was an exceptional cook and a huge Giants fan who loved to laugh and live life to the fullest. Above all Carroll loved her family; spending time with her children, grandchildren and great-grandchildren was the biggest gift and joy life brought to her. She will be deeply missed.